Burroughs Wharf Boston residences are located directly on the Boston Harbor Walk, offering magnificent waterfront views. Built in 1993 and developed by Burroughs Wharf Associates, the residences have been continuously updated by unit owners. The 7 story buildings, encompassing two docks, hold 69 units ranging from 1 to 4 bedroom homes. The units, designed with duplex and triplex floor plans, are inviting and feel more like houses than condos. Floor-to-ceiling windows allow residents to take advantage of the natural light and great views of the Boston Harbor. Depending on the side of wharf that the condo is located, residents also enjoy views of the U.S.S. Constitution and the Bunker Hill Monument. Not only does the building offer garage parking for residents, but also marina slips and docks for boats. If you do not own a boat, but would like to travel through the Boston Harbor, the water taxi stop can be accessed through Burroughs Wharf. By the water taxi stop, there is also a landscaped garden, promenade, and benches for residents to enjoy. The great location of Burroughs Wharf puts residents within walking distance to the North End, the historic Faneuil Hall, and the Financial District. T and bus stops at Aquarium Station and Hay Market provide quick and easy transportation to other neighborhoods in Boston. North Station, also within walking distance, gives residents at Burroughs Wharf an easy escape to towns outside of Boston, and provides train lines all the way up to Maine. 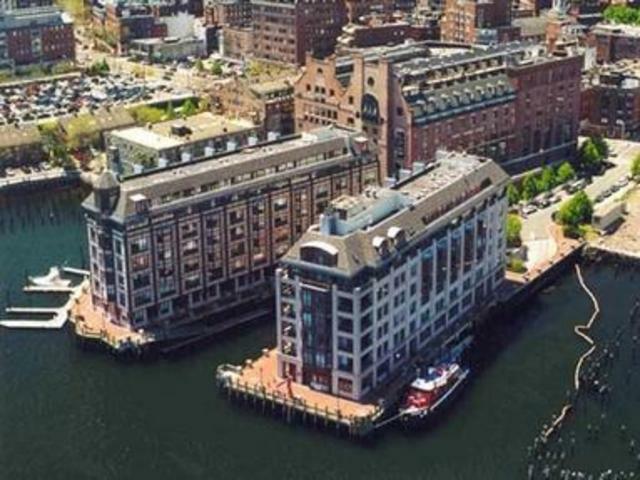 Given the great location and the unique setup of the residences at Burroughs Wharf, units rarely come on the market. To take advantage of any upcoming opportunities at Burroughs Wharf, contact the Campion team today.